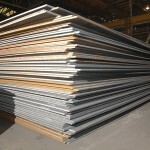 LB Steel offers a wide variety of Certified Chemistry Plate products in thicknesses from 1/2″ to 10″ in both pattern sizes as well as random plate sizes to accommodate any part nesting requirements. 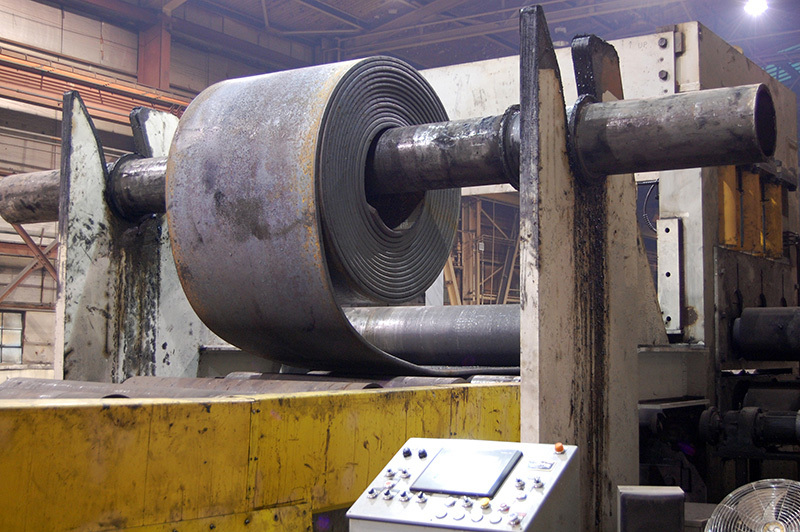 In addition to certifying every plate’s chemistry, LB Steel can also provide independent laboratory testing for Yield, Tensile, and Elongation results by plate or by heat number giving you a viable option to prime Mill Certified plate products at a reduced cost. 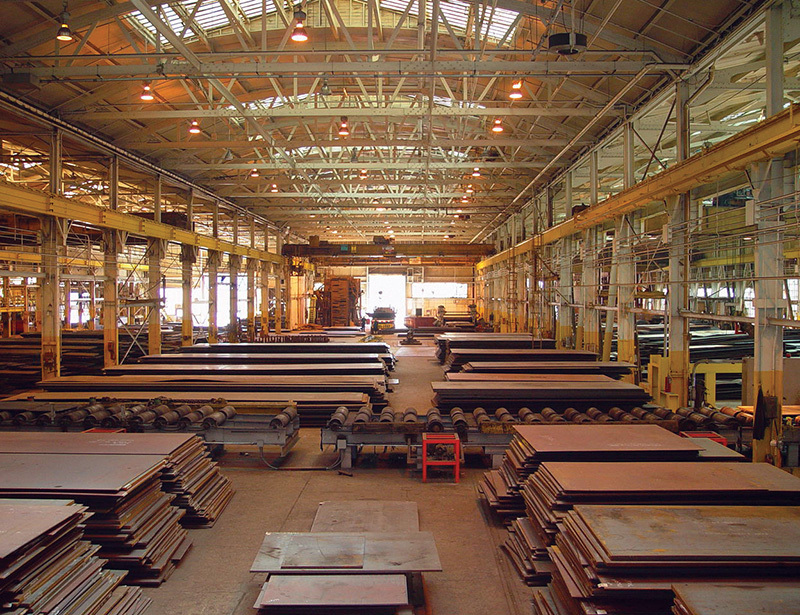 When using our Certified Chemistry Plate, our customers report savings from 10 to as much as 40 percent versus prime, and depending on actual testing results, some plates meet or exceed 50,000 PSI yield strengths with corresponding tensile strengths. 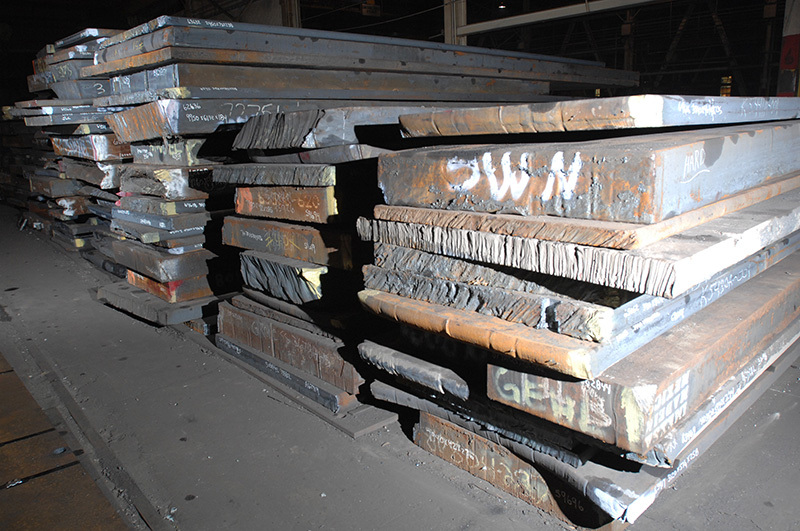 LB Steel manages this by purchasing in very large volumes from our Domestic Steel Mill Partners, shipping via rail to ensure the most effective landed costs. 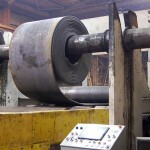 With as much as 5000 plates and over 20,000 tons in inventory at any time, we are able to meet most any surface, chemistry, and physical requirements as well as final multi nesting for scrap savings quickly and cost-effectively. 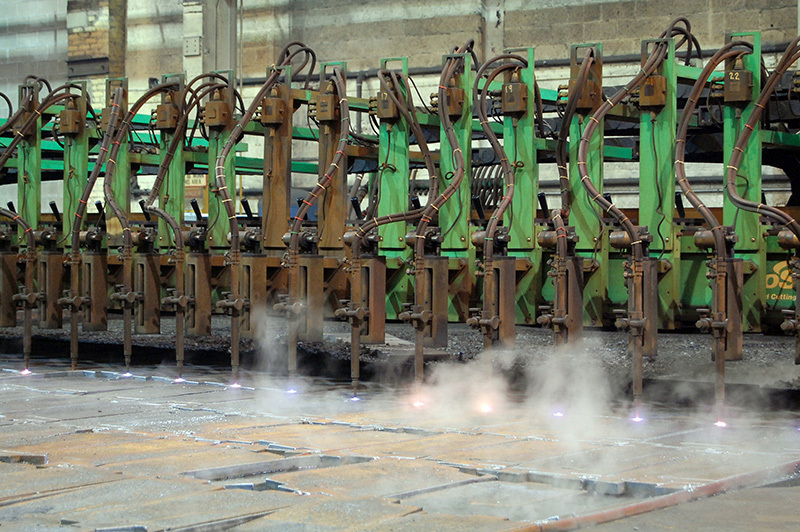 Our customers who report the highest savings achieve this through utilizing our extensive line up of oxy, plasma, and laser burning equipment, as well as our complete in house machining and fabricating capabilities of their sub-assemblies. 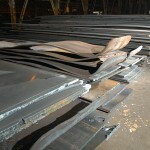 Savings include raw material, storage, transportation, scrap, and internal labor. 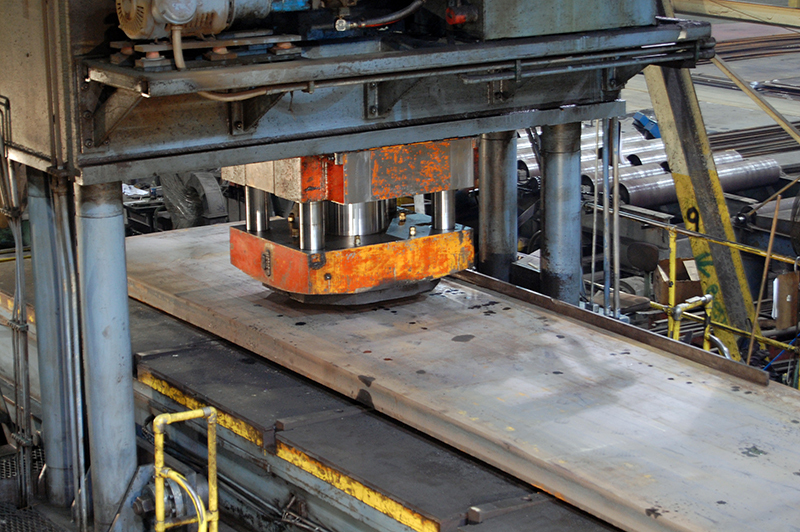 Your pre-burned, machined , and fabricated parts and sub-assemblies arrive just in time, going directly to your production lines. 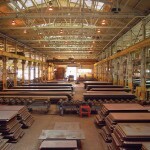 With global sourcing purchase practices, LB Steel can help you solve your supply chain challenges. 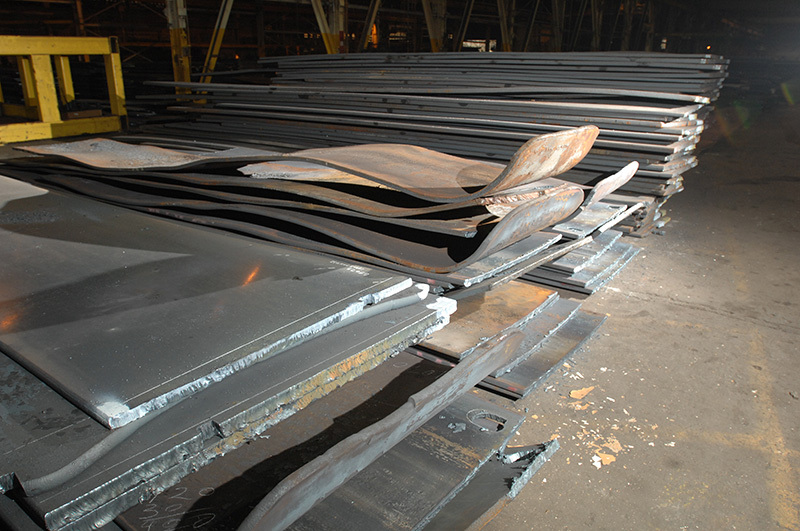 From one part or weldment to full railcar orders, LB Steel can supply all of your plate, plate processing, machining, fabrication, and manufacturing needs. 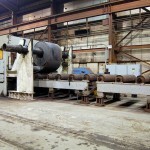 Give our experienced and knowledgeable sales and technical staff a call today. 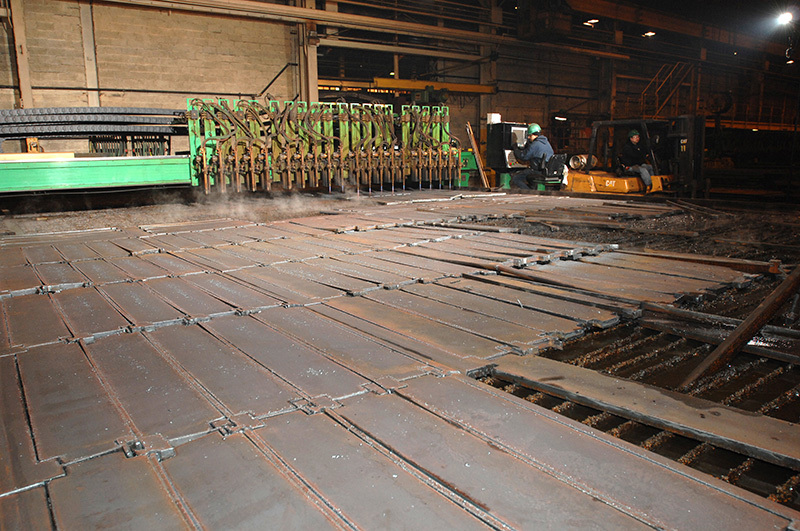 Stock plate bay with two 55-ton cranes, bay size is 78 x 350 ft.
Unflattened coil and cobble SMP (Strip Mill Plate) in the Heavy Plate and Flattening Bay. 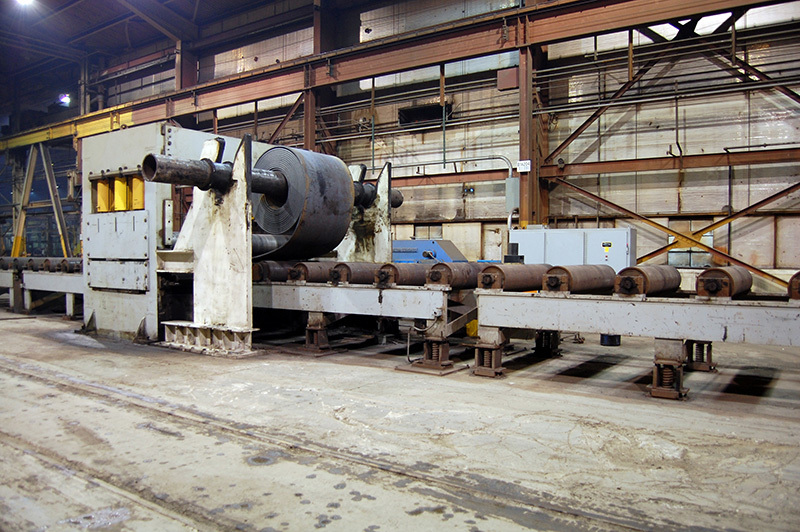 1200-ton Cauffiel Coil and Plate Leveler – capacity ½” thick x 120” wide to 7” thick x 50” wide. 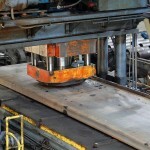 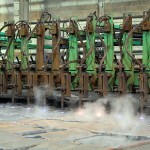 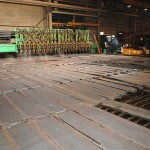 1000-ton Savage Flattening Press, table Size 100” x 360” – longer lengths can be accommodated. 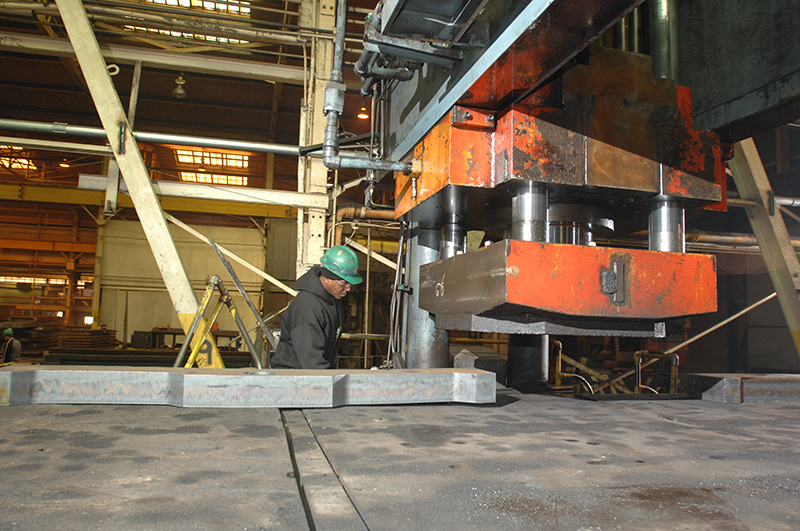 At LB Steel all incoming plate undergoes a ten-point inspection process to identify critical characteristics and verify quality. 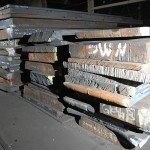 Next, in-house metallurgists complete a 13-element analysis on every plate and certify the chemical composition in writing. 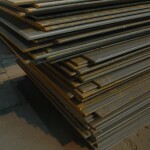 That means that what you order is what you get — guaranteed. 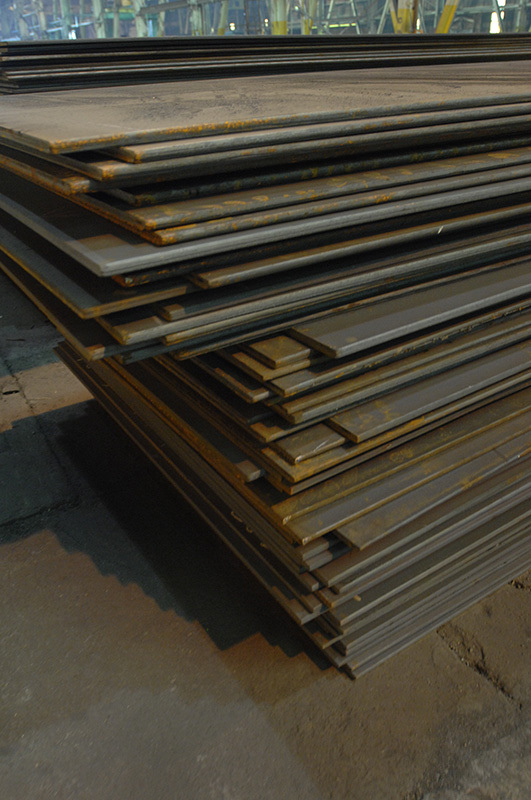 We stock a broad selection of plate, ranging in thickness from 1/2″ to 10″. 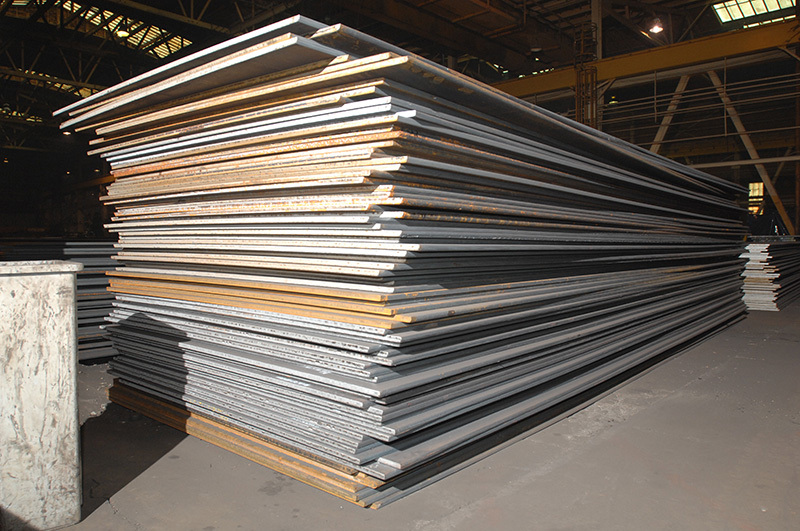 Chose from more than 20,000 tons of steel plate, available in a variety of pattern sizes, as well as random widths and lengths. 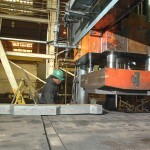 All inspected plate is stored inside so it’s quickly and easily accessible.